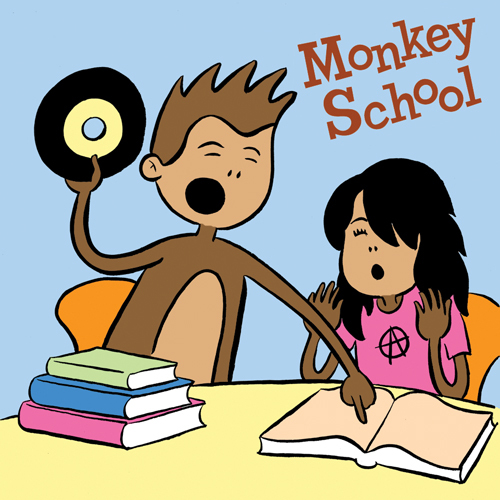 REMEDIAL ROCK: Our good friend and Monkey School alumnus Keira stays after class for a little extra help on some old and new favorites. Join us for a midsummer romp through some artists she wanted to brush up on (Junior Senior, Wire, Aislers Set) and a few we threw in as extra credit (Au Revoir Simone, Rosebuds, and Datarock). In between it’s monkey school as usual, though a pop quiz is always a possibility!